The benefits of telemedicine to both patients and providers are very clear. Patients save time and money because they don’t have to miss work or travel. They are more likely to keep follow up appointments and more closely monitor chronic conditions. Providers are able to treat patients more efficiently, achieve better health outcomes and service patients whom otherwise might be difficult to reach. One thing that has kept some providers from taking advantage of this important new channel for care is concern over remaining in compliance with HIPAA regulations. Fortunately, with the right telemedicine platform, you can diagnose and treat remote patients without sacrificing the security of their personal health information or your adherence to the law. Of course, not all video conferencing solutions are HIPAA compliant, so it is important to select one that meets the following tests. Consumer video services like Skype and Facetime do not meet this standard. It order to maintain compliance you need to choose a solution that uses data encryption transmission technology to protect patient data. Does it leverage peer-to-peer networking? 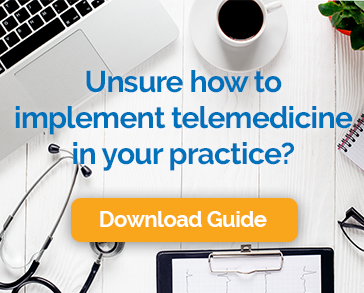 You don’t have to be a telecommunications expert to leverage a telehealth platform, but you do need to know which questions to ask. You want to look for a solution that leverages a type of internet connection known as a peer-to-peer network. These ensure that the contents of communications are protected and the identities and locations of the participants are concealed. Are the video transmissions stored by the solution provider? The answer to the first two questions should be yes. This one should be no. Transmission storage on the part of the provider creates a dangerous risk to the security of patient data. Is a Business Associate Agreement Offered? A business associate is an entity or a person that performs activities on behalf of a covered entity (the provider). These might include attorneys, accountants, transcription services, and in the case of video conferencing, the technology provider. Generally, HIPAA rules require that covered entities and business associates enter into contracts to ensure that all protected health information is safeguarded by everyone who may have the opportunity to access it. Be sure to choose a video conferencing provider who will sign one. Technology can be intimidating, especially when it intersects with the law. The good news is that there are solutions out there that have been created to ease the burden of compliance and treat patient security and privacy as seriously as you do. If you select one that passes each of these tests, you can be confident that this part of your practice is in good hands. To help physician practices efficiently deliver high-quality, convenient care to their patients who need it most.